I know, you’re probably thinking: Helly–what the hell?! YOU BOSTON QUALIFIED!!! 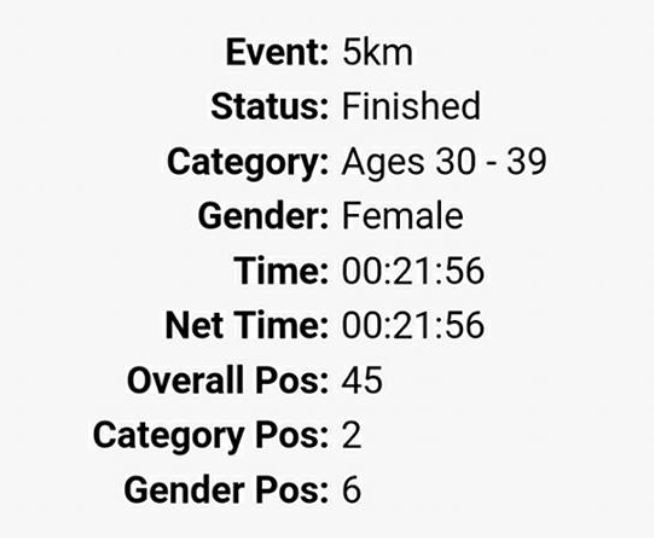 3:29:33 BQ — Hells to the yeah!! 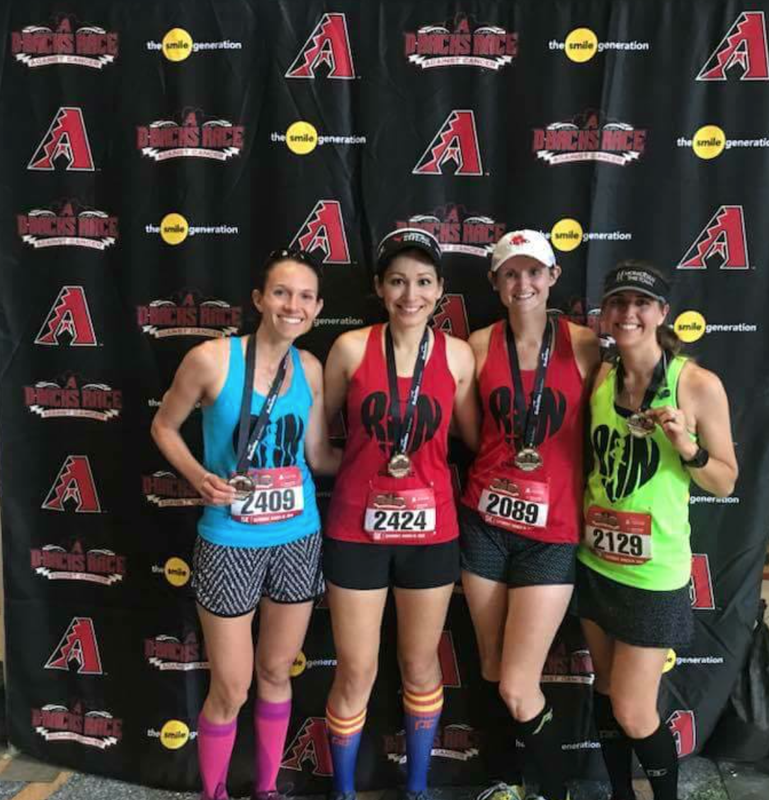 But the post-marathon blues are for real, my friends. I had worked for this goal for a long time and now … nothing. Of course, I knew I needed to rest after my big race. 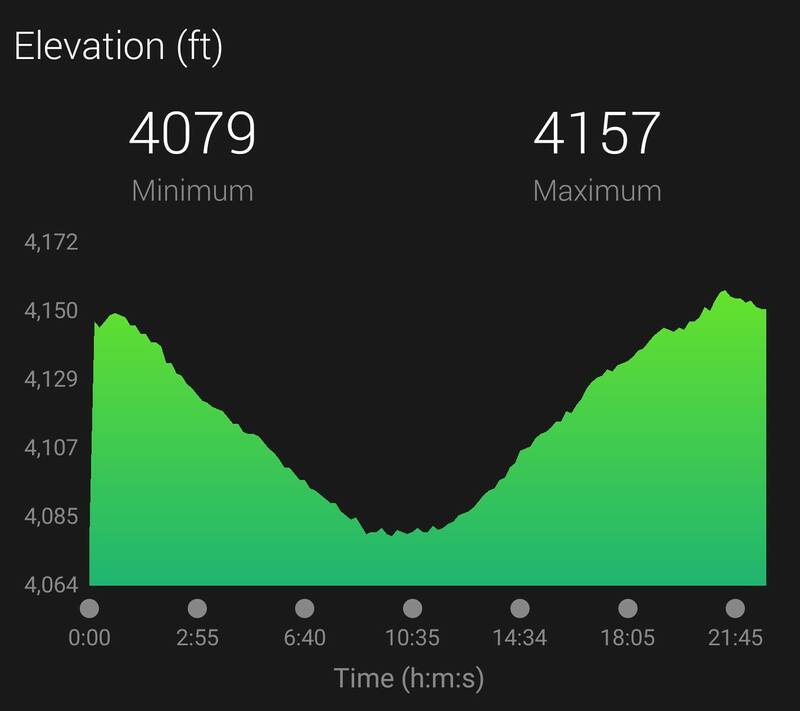 Yet, even after a couple of weeks of no running, getting back into the swing of things was rough. 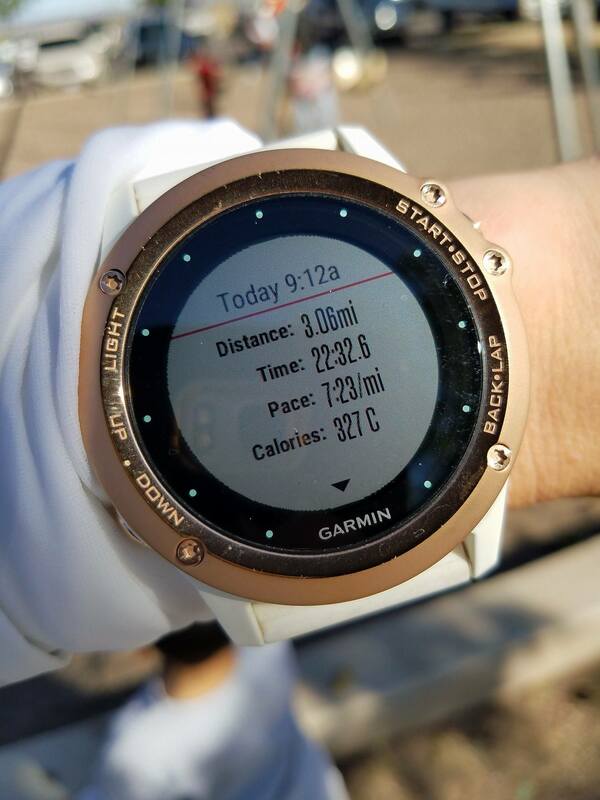 I’m big on plans, routine, consistency…and because I didn’t have anything to work towards, running for fun took a lot of effort. I truly enjoy the training process. That, for me, is fun. 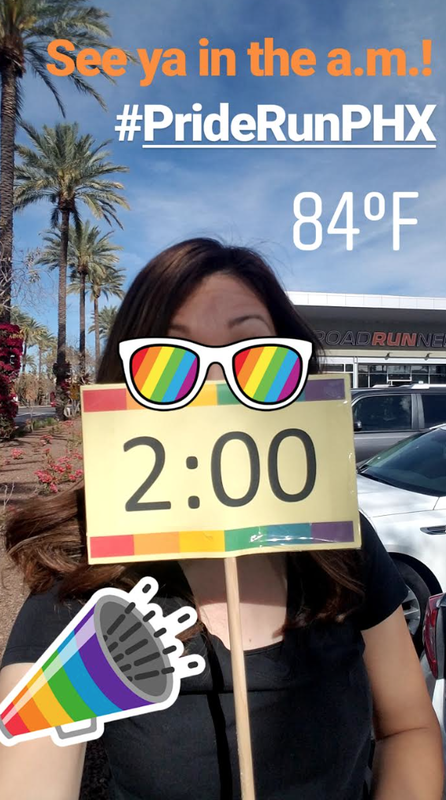 The post-marathon blues hit its peak two weekends ago when I was supposed to pace 2:00 at Phoenix’s Pride Run Half Marathon. I went to packet pick-up excited, thinking maybe this is what I needed to get back into the groove of things. I was out the door just after 5 a.m. (it was a super early start time of 6:30)–plenty of time for the drive to the race. But as I was going along the freeway mentally checking off the list, I realized I’d forgotten my bib on the kitchen table!! I had snagged the pace stick that was right next to it, but not the bib!! 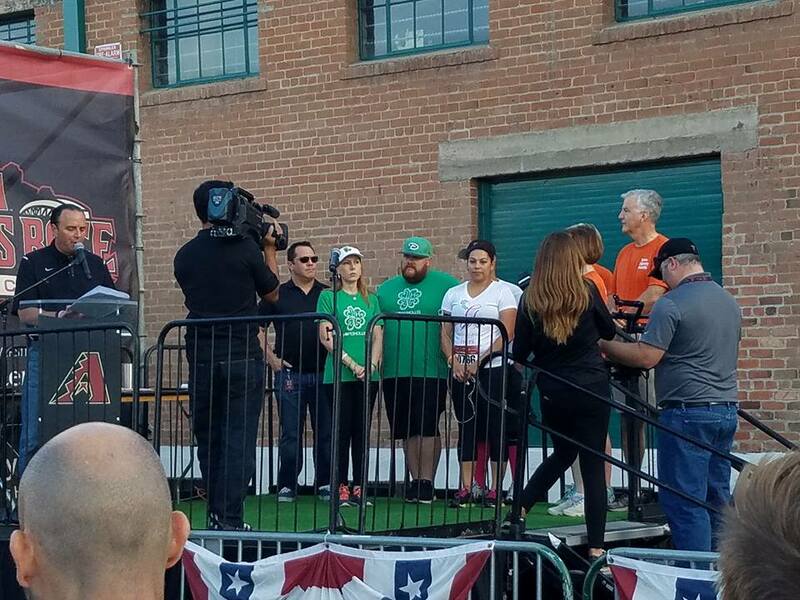 I debated going back or continuing to the race and seeing if I could find the race director or someone to help me. I finally decided to turn back thinking I’d banked enough time by having left early….I underestimated traffic and closures in downtown Phoenix however, and when I was close to the start, I wasn’t close enough with no parking around. 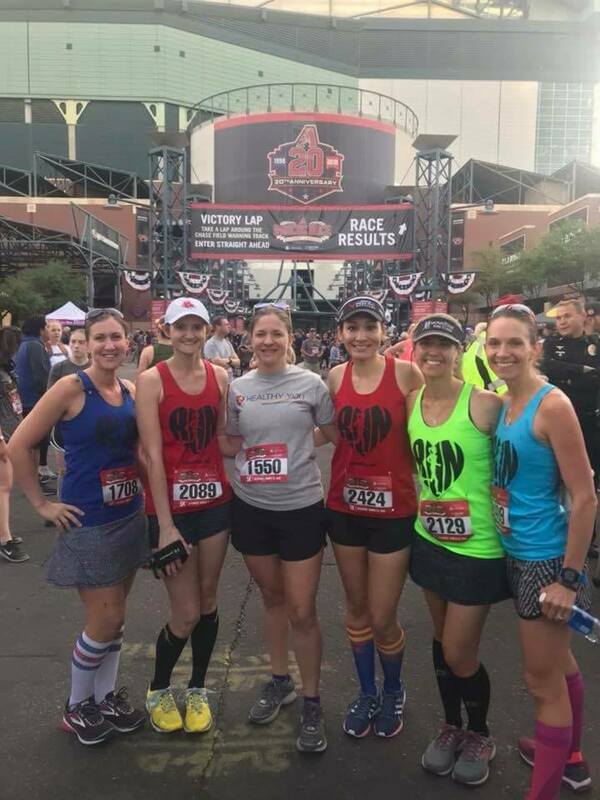 I parked somewhere, anywhere (likely illegal) and thought maybe I could run to the start–but a mile in, I had no idea where I was…or where the start was…I walked back to my car, defeated, knowing I was about to DNS and let the race director and everyone else down. I sulked for the next couple of days, wondering how I could get myself out of this funk I was in. 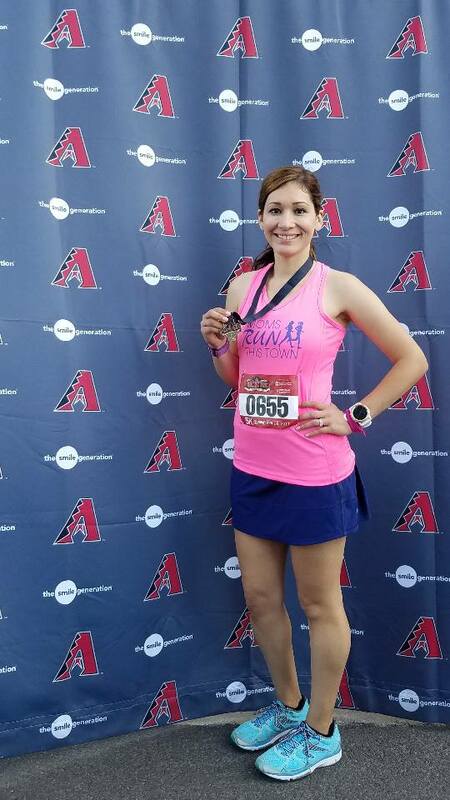 I had another race, a 5k, the following weekend–one in which last year I PR’d. I knew that with my lack of running, bettering last year’s time was out of the question. But it’s such a great race, and for such a great cause. 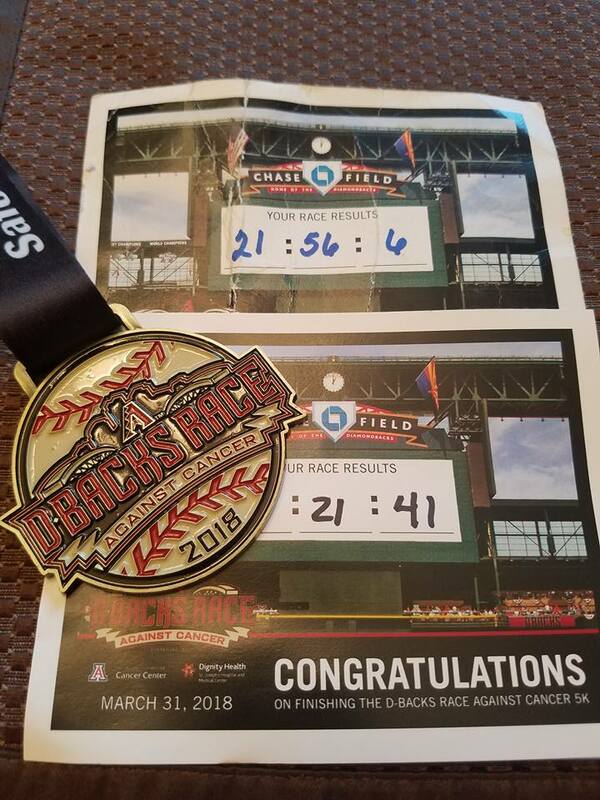 The Diamondbacks Race Against Cancer is a 5k my two friends from high school promote in memory of their daughter who passed away from DIPG, a very rare form of cancer that currently has no cure. She would be the same age as my daughter. 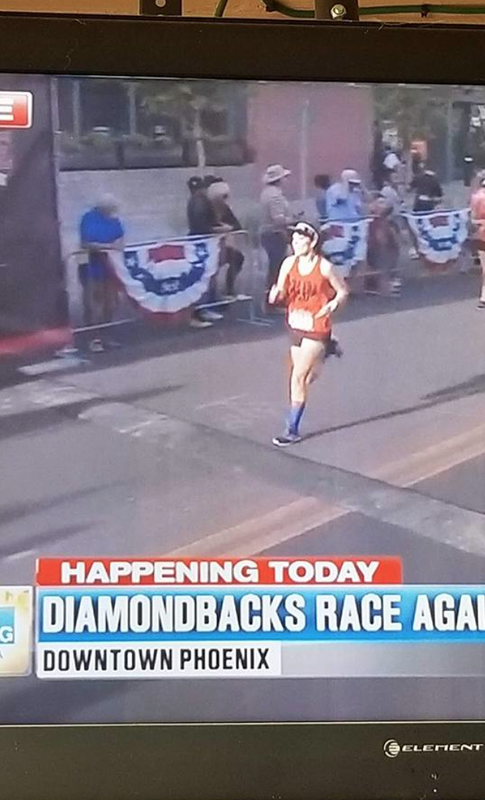 So even if a PR was unlikely, I knew this race would be one that could lift my spirits up–I was running for Gianna. Saturday found me with some of my Moms Run This Town friends and I was happy to have some of my favorite people around. I was excited, regardless of what the outcome might be. Ashley, my BQ training buddy was with me, and I knew I would try to hang on to her as long as I could. 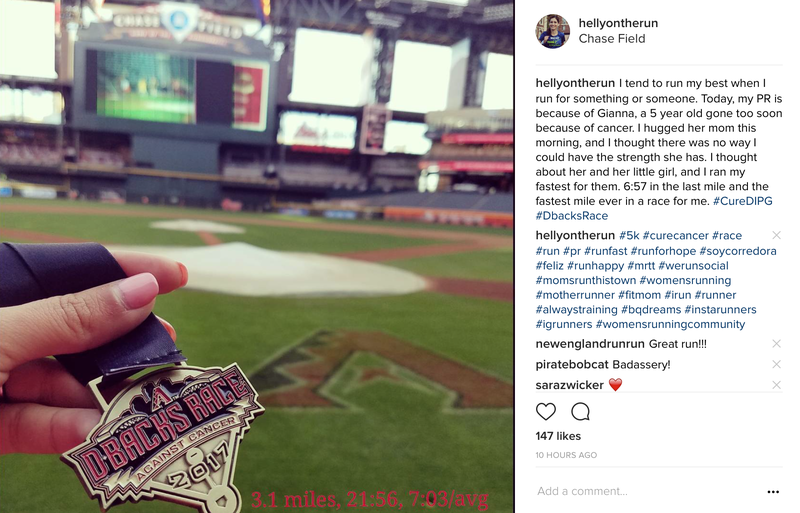 Unlike me, she had been running and was in much better post-marathon/post-BQ shape (having won a 5 miler the week before!). I knew I wouldn’t be able to hang on for long, but I loved having her there to push me. And we were off!! I wasn’t sure what pace I would hold and went in with zero plan. I knew that I’d pretty much positive split the race and didn’t care. It felt good feeling the racing rush, the racing pain. First mile– 6:51. Yeeah, whoa. No. My last second surge somehow made it on T.V. Well, honest to goodness, I had NO idea I’d be able to pull this off!! But beyond having beat last year’s time, I’m happy to feel again those feelings that make me want to run. We all ran away with a PR!! –Have you experienced the post-race blues? –Is it easy for you to run with no training plan? 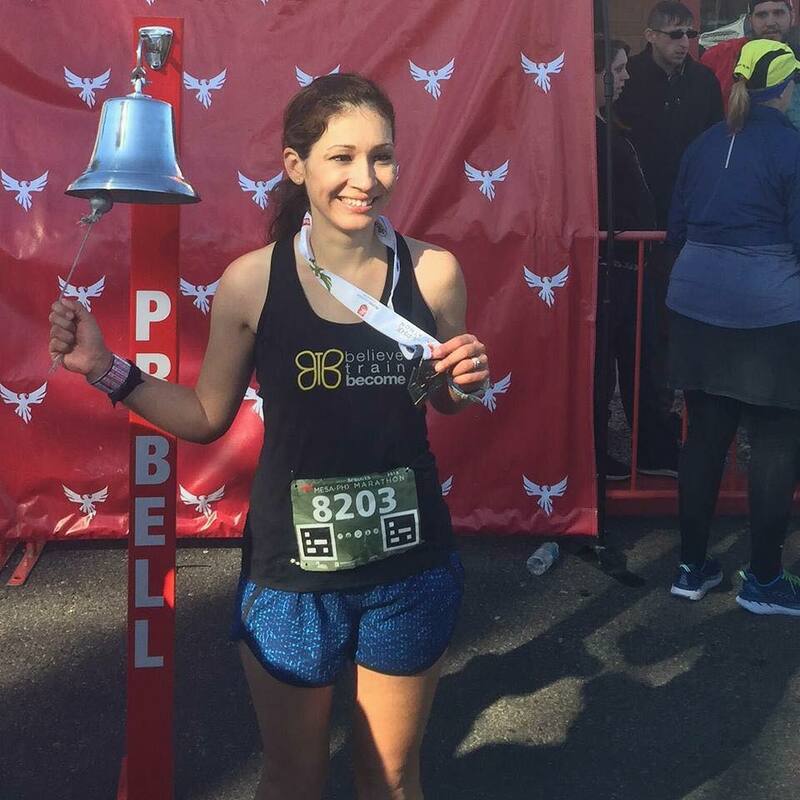 –How do you get yourself out of a running funk? 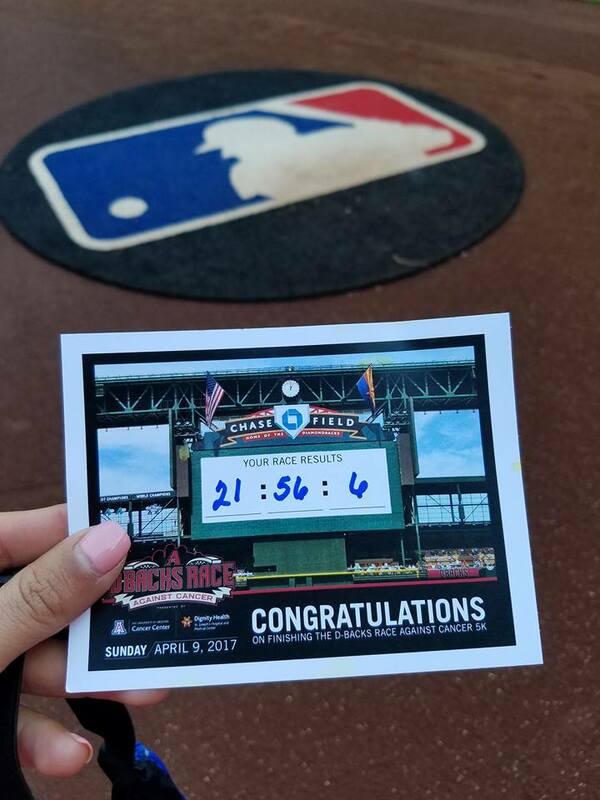 I signed up for the Diamondbacks Race Against Cancer 5k sort of on a whim. A high school classmate posted on Facebook how her and her husband participated in it last year as part of a fundraiser/awareness for their daughter battling a rare type of cancer (DIPG). I remember when she shared that original post, the one where her daughter was present. She wasn’t at this years. For the 9 months or so that Gianna fought cancer, she did so with strength that I could never imagine. At 5 years-old, no little girl or boy should have to go through what she did. 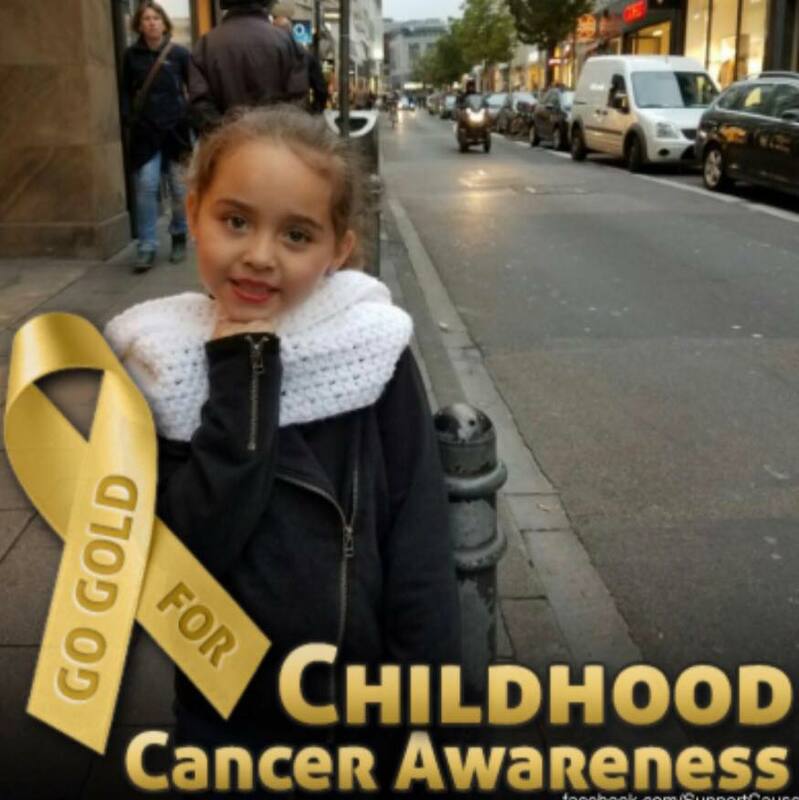 Her mom chronicled Gianna’s fight through her Facebook page, and there were times that I just couldn’t bear to see the posts. I would get so angry at the unfairness, so sad that there is so little treatment and research for what she was fighting. 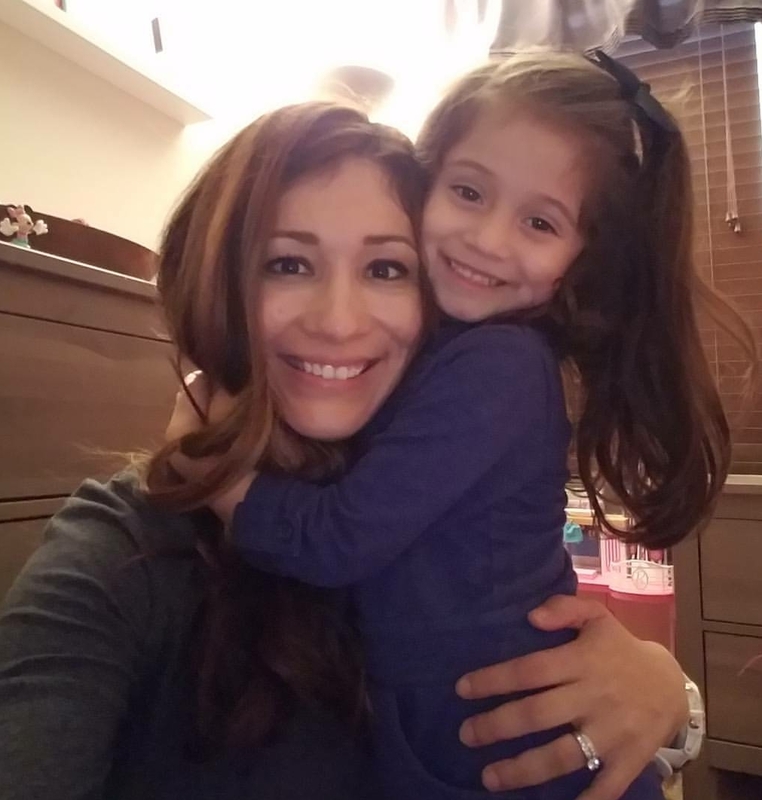 About two weeks ago or so, Gianna’s mom said they’d be back at the 5k event as part of the opening ceremony for the family fun walk portion of the race. She said they were organizing a team and that anyone who wanted to participate could join them. So I signed up knowing that the race would be done in Gianna’s memory. The race is pretty popular and when I arrived, I didn’t think I’d be able to find Gianna’s mom. But as I was walking to the porta-potties, I spotted her. I gave her a big hug but I couldn’t say much. I saw her again at the race start and when they announced why the parents were there, the tears began to flow. I gathered myself together because moments later, the race started and we were off. There were no corrals but I positioned myself in the front. There were a lot of little kids who wanted to start right at the front but I didn’t mind because they were so excited. It was cool to see a lot of adults make room for them instead of grumbling that they were in the way (as I’ve seen in other races). I ran unplugged, as I wanted to focus solely on Gianna’s bright spirit. I was running in her memory and wanted to be free of distraction. 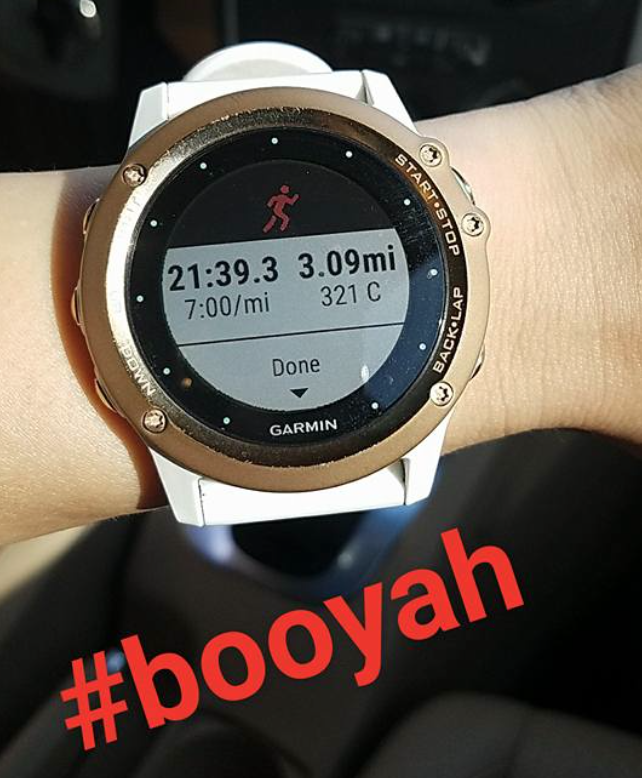 My goal was also to PR. I didn’t know if I had it in me, but I was willing to try. At my first track workout last Wednesday with my coach, I did two 2Ks at 7:30ish pace, and it hadn’t felt too bad. 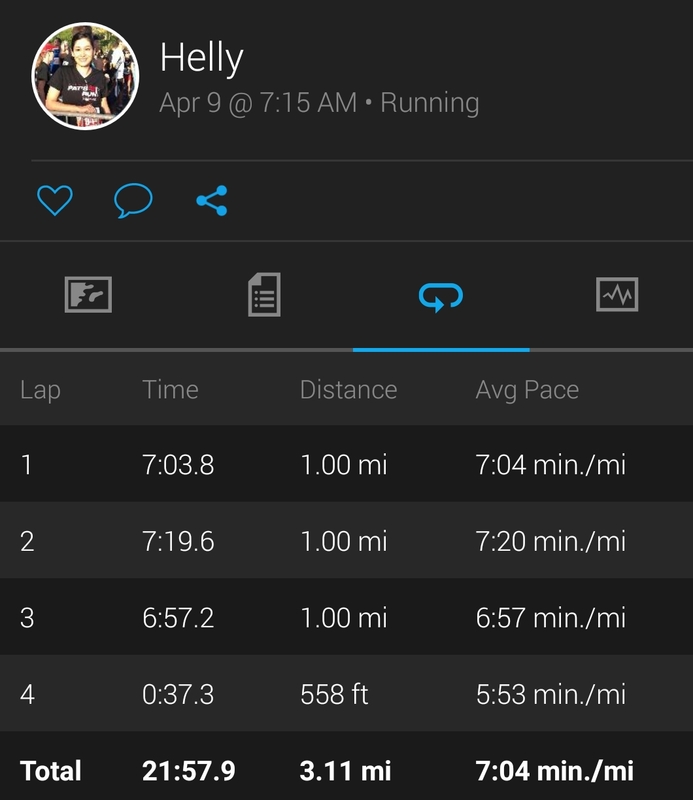 So for the 5k, I wanted to shoot for a 7:15 first mile and then negative split. When the first mile beeped 7:03 I thought I’d blown it. Way too fast and there was no way I could negative split with that as my starting point. But I didn’t let myself get too down or count myself out. I would simply continue to try and keep it under 7:15. Sub 6 minute mile for 30 seconds!! Whoa!! And finally entered the 21 minute 5k club!!!! 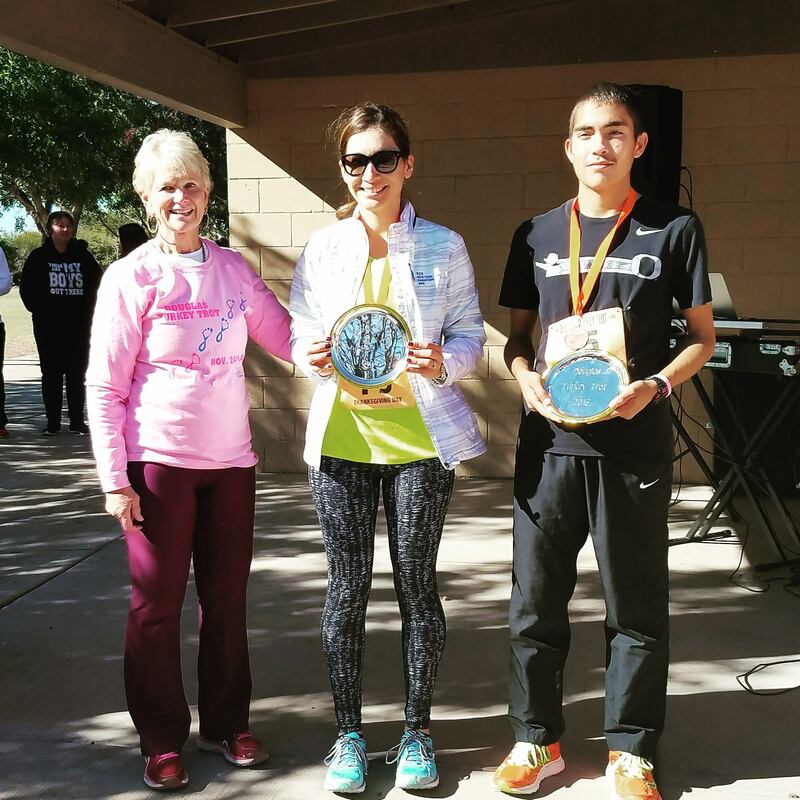 6th Female Overall, 2nd Age Group–I’ll be presented my award at an upcoming baseball game! 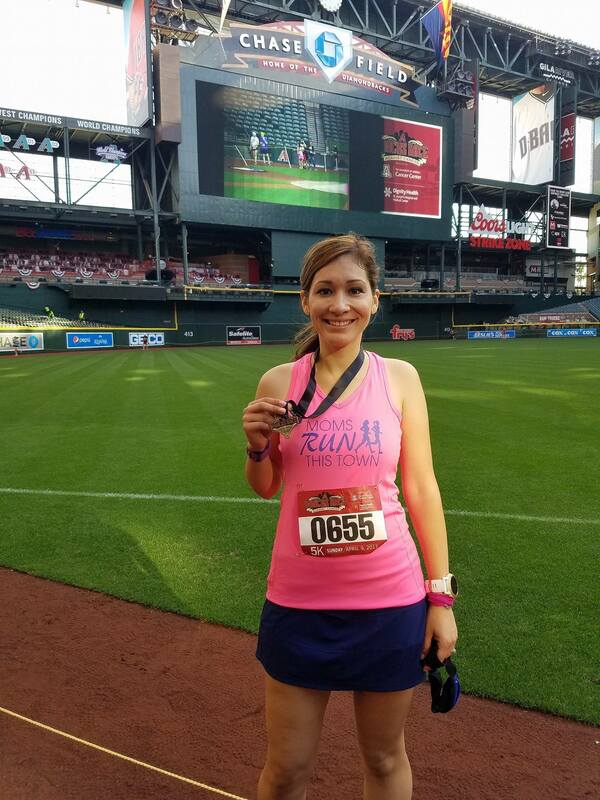 When you finished, runners/walkers were able to take a victory lap inside the Diamondbacks stadium. I don’t go to baseball games often (as you can tell by my Instagram, I’m more of a basketball girl 😉 ) but it was fun to see it in a way I’ve never seen it. 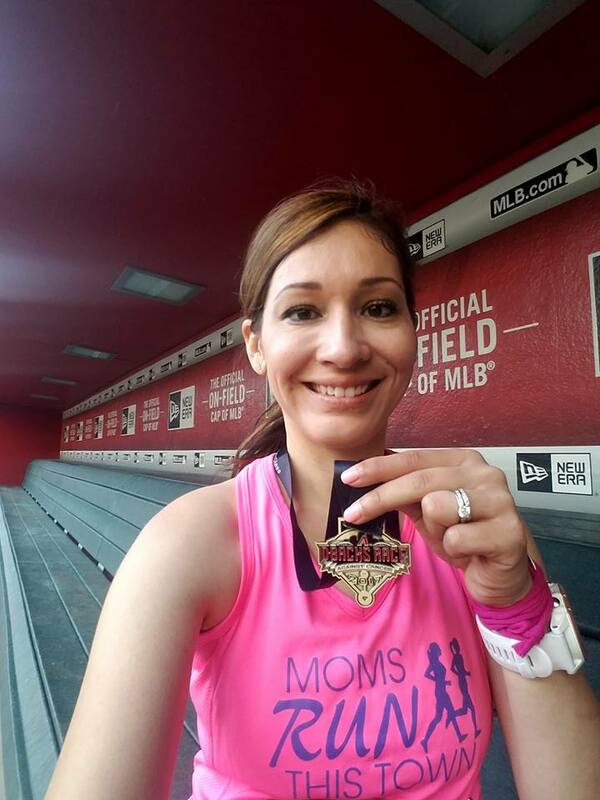 In the dugout–Put me in coach! When I was done, I called my husband and told him how bittersweet this PR was. I was happy, but I was sad. I was there because a little girl wasn’t. –Do you have a meaningful PR?